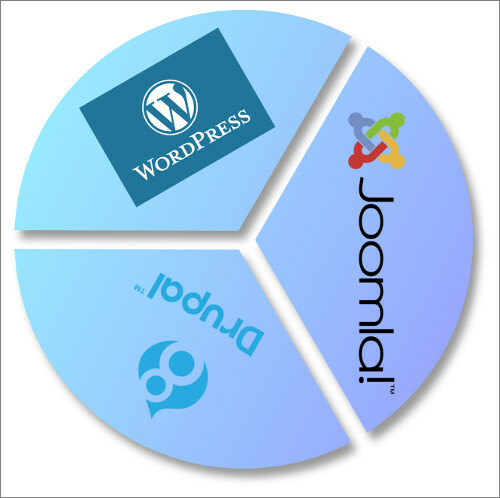 If you've heard the words Drupal, Joomla, and Wordpress before, you most likely know that CMS is the abbreviation for Content-Management-System. A content management system is a computer application that supports the creation and modification of digital content. It typically supports multiple users in a collaborative environment. The times when you had to write code and upload HTML files to update your website with content are long gone. Read the full article with comparison chart. Rackspace, Inc. is a reputable managed cloud computing company based in Windcrest, Texas, USA, a suburb of San Antonio, Texas. 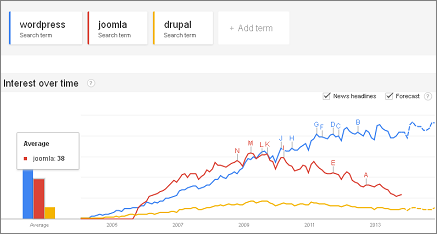 Looking at the following graphs from Google trends reveals much about the size of the installed base for each of this CMS. Now that we have this out of the way.